Although my husband prefers a casual approach to his clothes, I do prefer something a little smarter, so we tend to meet somewhere in the middle especially if I’m buying him something to wear. One shop that always meets this criteria is House of Fraser which offers a wide range of good quality, smart looking pieces. In the Summer he tends to wear shorts on a daily basis so we normally go with something like these Jack & Jones Intelligence Preston Cargo Shorts in grey. Being a neutral colour, they go with any top and cover the initial brief of being smart casual for comfortable day wear. Teaming it with a collared t-shirt such as a polo shirt also keeps the look smart, so these tops by Hugo Boss fit the bill and again go with most things, meaning a simple mix and match wardrobe is all you need for the warmer months. For footwear I’d add a simple pair of Tommy Hilfiger Suede Lace Up Trainers, which are comfortable, casual and easy to wear. Another Summer essential is swimwear and it’s great to have a practical pair of swim shorts that you can wear in the pool or on the beach. This classic grey pair by Polo Ralph Lauren are great and can be teamed with some Havaiana’s flip flops in a contrasting colour combination. Here’s hoping the sun comes out so we can enjoy the summer months and you can be sure your man will look good with some classic pieces from House of Fraser this season. 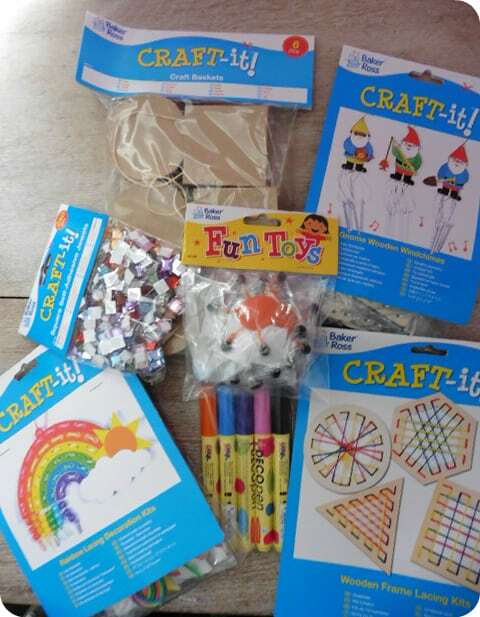 One thing that never fails to occupy the kids is crafts, be it sunny or rainy, Baker Ross have a huge selection of crafts to keep the children busy over the Summer months. We took a look at just a small selection of what is on offer and both my children, age 8 and 5 loved them! First up, my daughter had her eye on the Paracord Bracelet Kits, which we opened up and I helped her start one off. She was soon able to continue on her own, with a simple cross over and loop of the threads, a pattern soon emerged and it didn’t actually take that long to complete a bracelet. 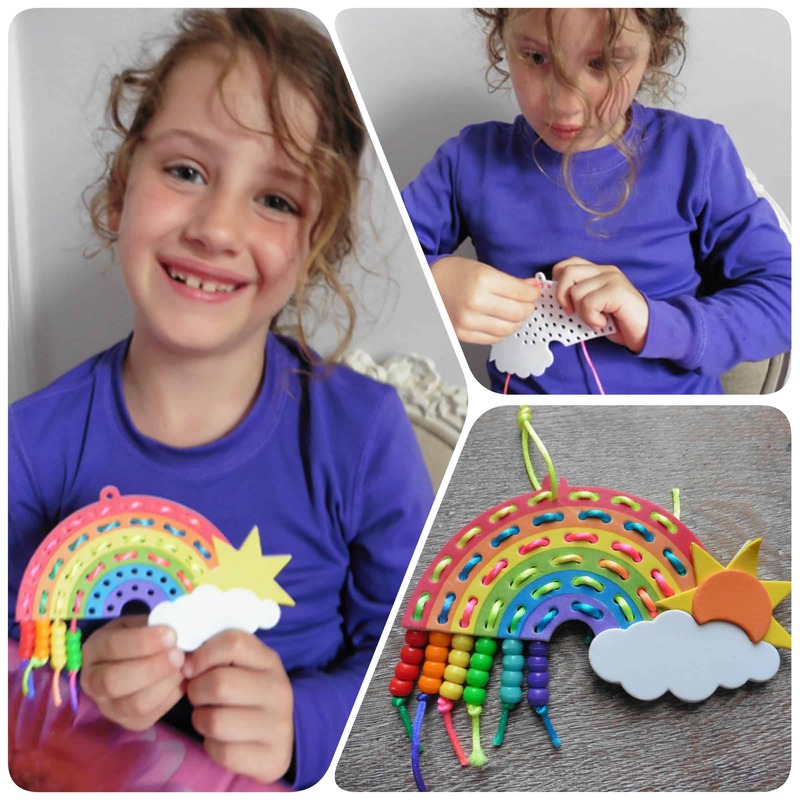 She was enjoying it so much, she sat and spent the afternoon creating all of the six bracelets in the pack. It kept her thoroghly entertained and she couldn’t wait to wear all of her creations! 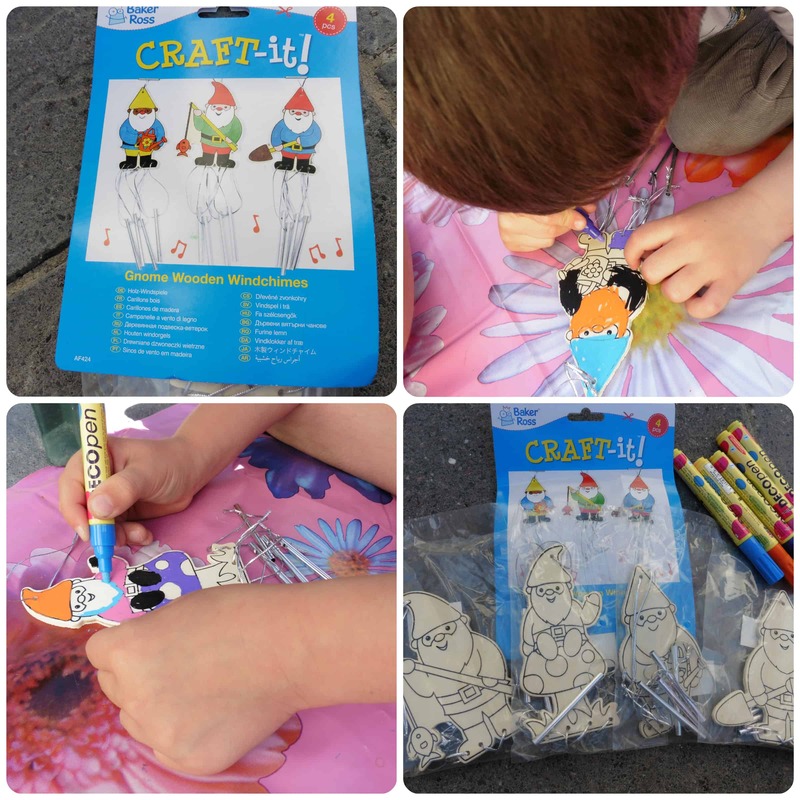 Next up we tried the Sealife Spiral Notebook Kits, which I think look so cute once completed. They consist of a plain page spiral bound notebook with foam covers. There are sticky backed foam shapes with each one that turns into a different sealife creature on the front of each one. The designs are simple and effective, even my 5yr old just got on with it and created the turtle all by himself. He even added some other effects to his finished design. I love these notepads and think they’d be great for a party activity, or something to do when you have friends over as it’s nice for them to take away an item that they can use after. The Farmyard Stampers are fun for little ones. With familiar animals the set allows children to print out their own farm scenes. I put a large sheet of brown paper out in the garden and let Mister B stamp away for an afternoon over which he had great fun! 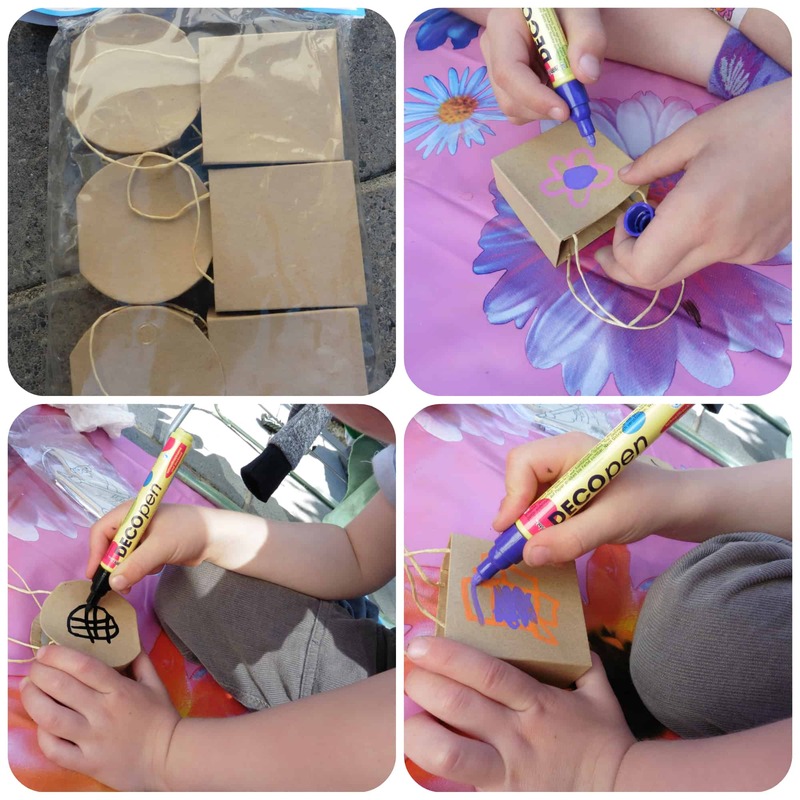 One of our favourite activities has to be the Beach Self Adhesive Art Sheets which we got along with the ten mini bags of Glitter Sand. Each picture has a pre cut layer which can be peeled back in sections to reveal a sticky background. You can then sprinkle your chosen colour of sand in that particular area before peeling off the next section. 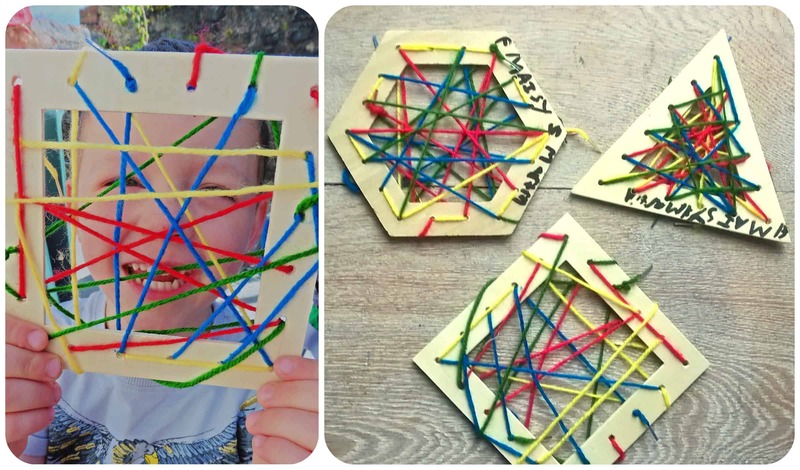 Both my children became completely engrossed in this activity, they really enjoyed it and I think their finished pictures look amazing. 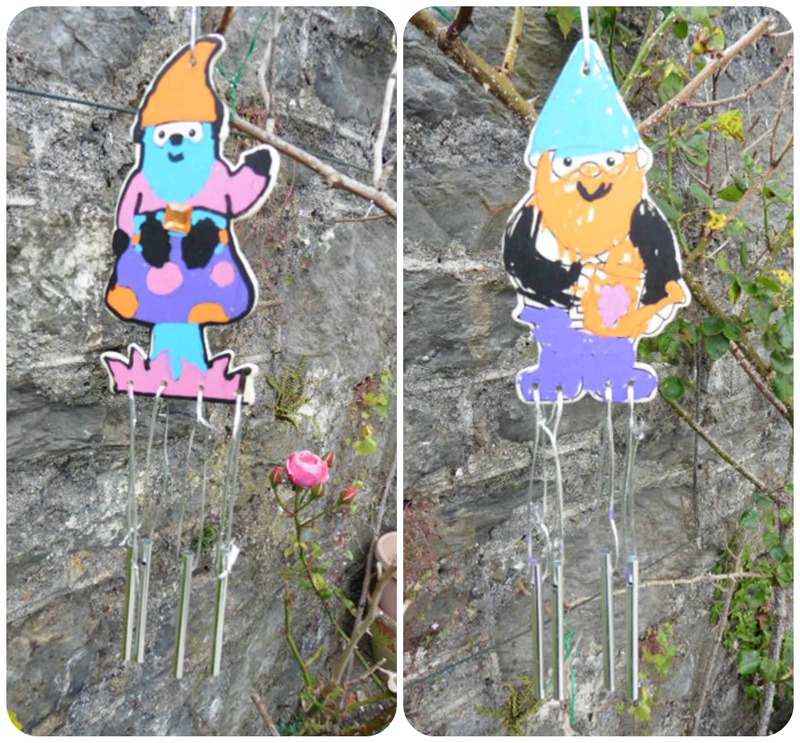 This is different from any craft they have done before and the results are so effective. We really loved doing this and is something they have already asked to do again. 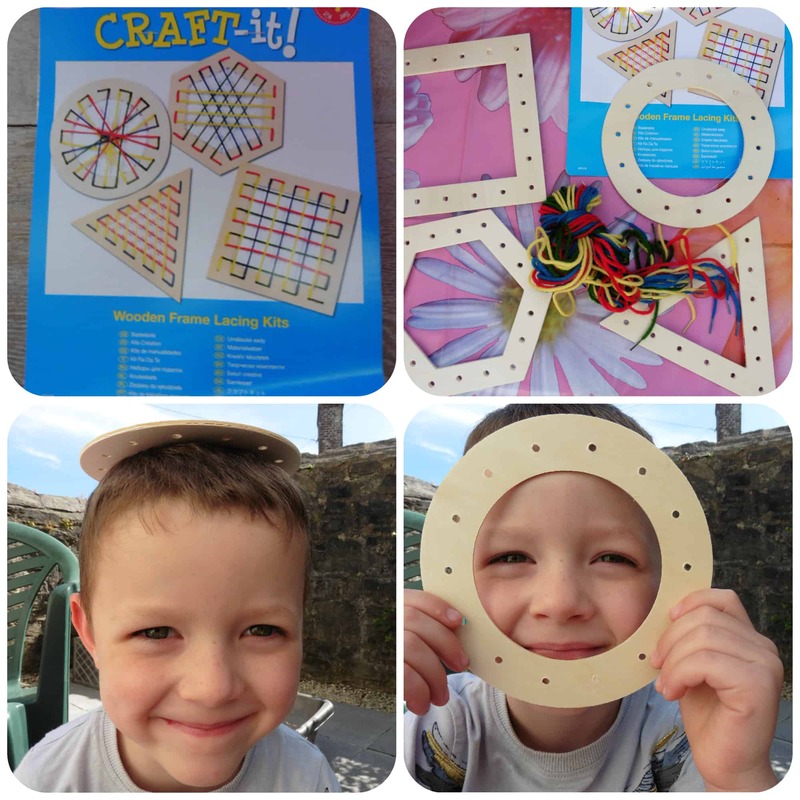 As you can see we have had lots of fun with the Baker Ross Summer crafts box this month, hopefully some of the activities will inspire you of ways to keep your children occupied this Summer. 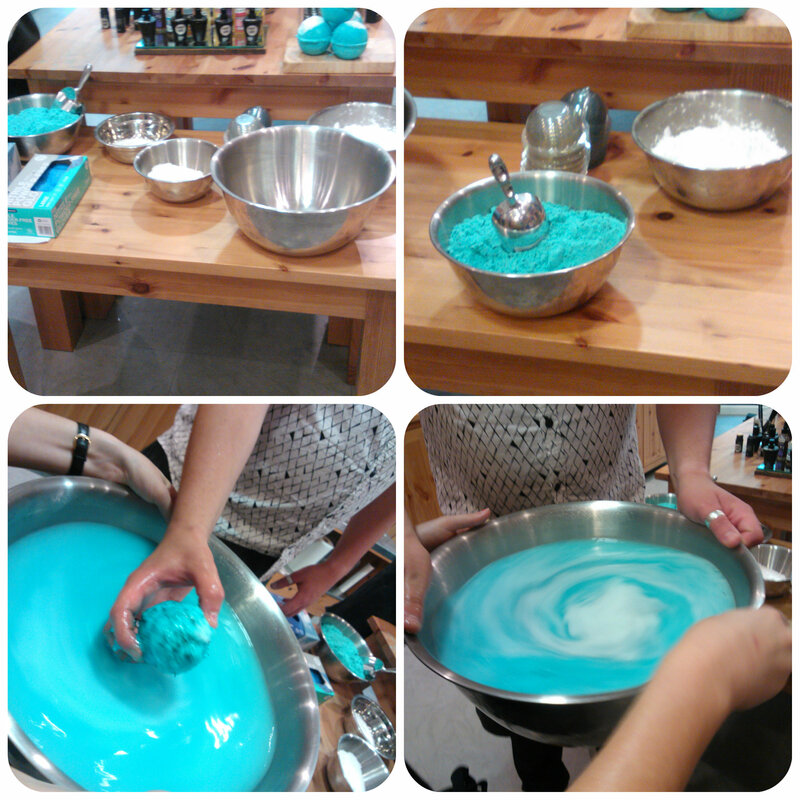 At the start of the summer I was invited to a blogger event at my local Lush store. 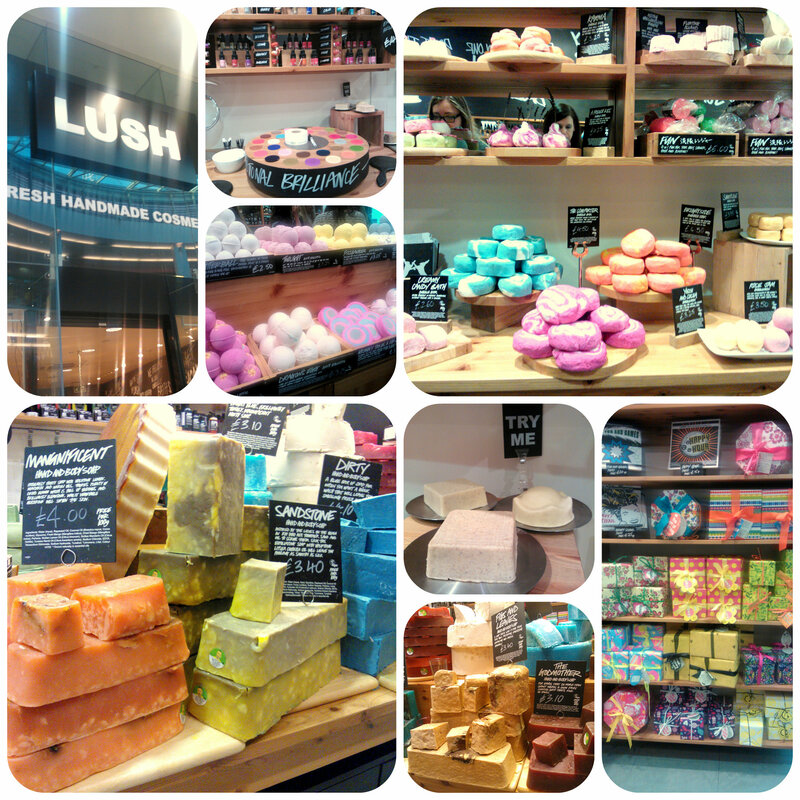 Lush being that shop that emits a heavenly fragrance across the mall before you even reach it, inviting you to step inside and try it’s delectable handmade products. Being 100% vegetarian, not tested on animals and using only natural, ethical ingredients, this certainly ticks a lot of boxes for me so I was intrigued to find out more. Walking into the shop, you can’t help but be mesmerised by the vast arrays of freshly made products, sitting naked on the shelves waiting for you to inhale their individual aroma’s, eager to try them on your skin. When I walked in I was greeted by a friendly bunch of staff who turned out to be incredibly knowledgeable and full of facts and information about each of the numerous products on their shelves. They gave us a demonstration of some of their top summer products, showing us the individual raw ingredients as well as letting us smell and try them out upon our skin. Buffy – a body butter with exfoliator. Made with cocoa and shea butters for moisturising, ground rice, almonds and aduki beans for exfoliation and some essential oils for both calming and uplifting. This is a must have shower product to leave your skin silky soft all year round. African Paradise – a body conditioner designed to be used in the shower and rinsed off leaving your skin perfectly hydrated. This is made with softening and scented ingredients from mango juice to moringa oil, shea butter to aloe vera – leaving a very relaxing soothing, finish to the skin. 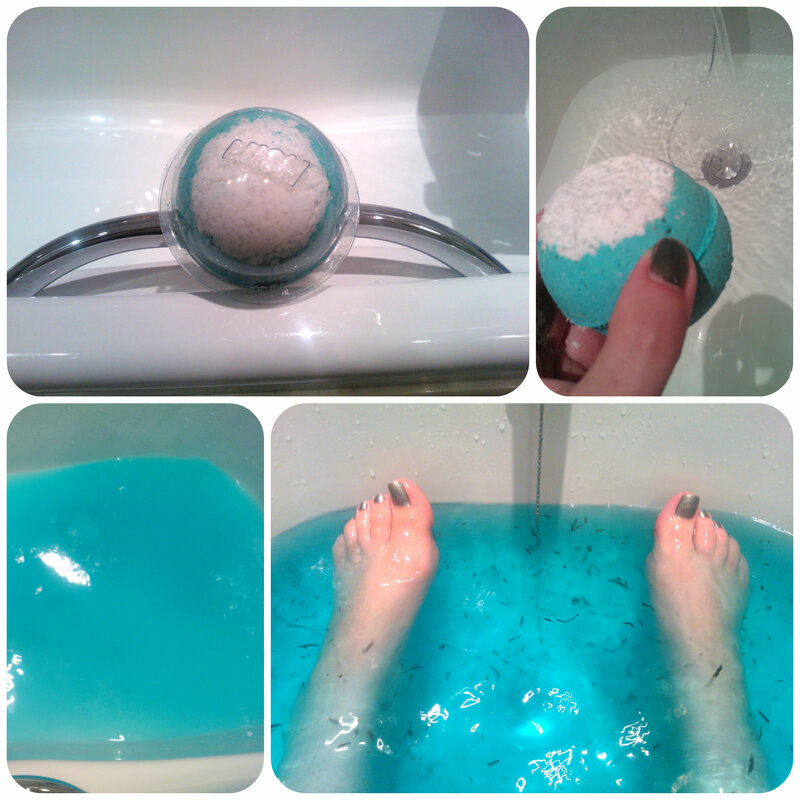 One of the highlights of the evening has to be making my very own Big Blue bath bomb!! I never expected to get this close to making a product let alone actually doing it! The Big Blue has calming properties using arame seaweed for it’s softening ability along with many vitamins and minerals. Also both lemon and lavender oil are included which are both fragrances that appeal to me. Once seeing a demonstration, it was time to make our own. 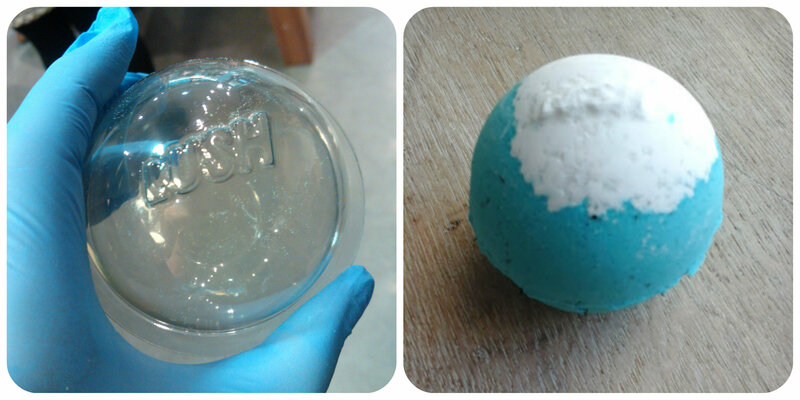 We were each given some ‘attractive’ blue rubber gloves, a Lush bomb mould with which we filled with ingredients, swishing and turning until we had the perfect ball!! Ta-dah!! Above you can see my perfectly formed Big Blue, I’m still in shock I actually made this and didn’t really want to use it but, well, I kinda had to! So how did it feel? Incredibly softening, more than I could have imagined. It had a heady, calmy fragrance that was totally relaxing. I was really surprised at how soft the water felt, really leaving my skin feeling soothed, mosturised and supersoft. With it’s turquoise blue hue and floating bits of seaweed, it felt tranquil and allowed me 20 minutes of child feel relaxation, something that’s a bit of a rarity these days! After receiving a demonstration of Stepping Stone, a foot shaped scrub, we were given one to try at home. I was so looking forward to trying this as my feet do suffer, particularly as I’m prone to wearing flip flops over the summer months which doesn’t do my heels any favours leaving them dry and prone to cracks. Stepping Stone can be used as a foot pumice or foot soak and I did both by breaking a piece off and letting it fizz in water to soak my feet and the rest I used to scrub over my feet to combat the dry skin. With lime, lemon and lemongrass oils to combat foot odour this really smelt heavenly! 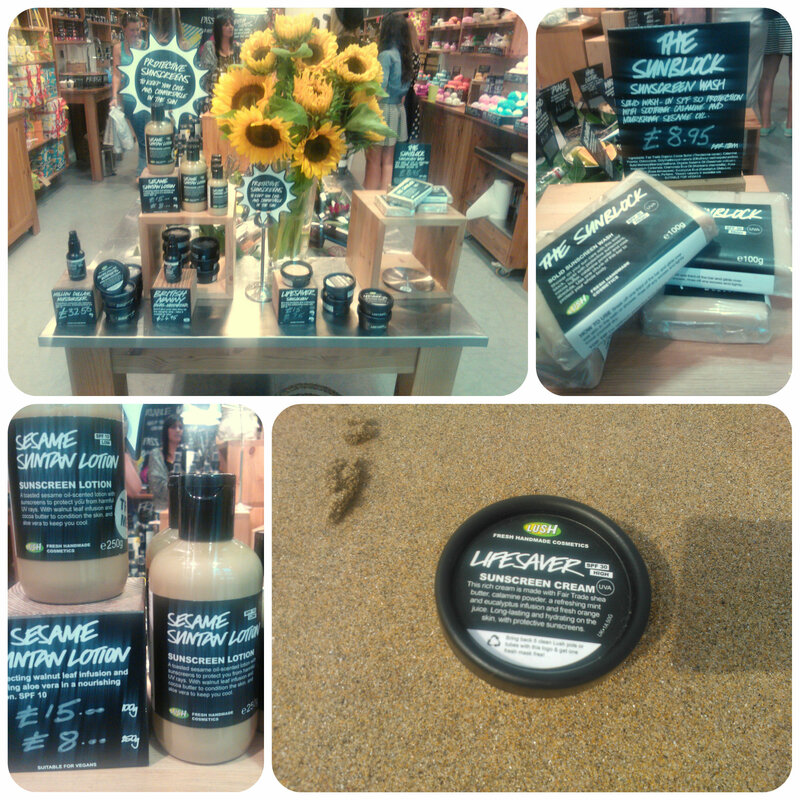 The new range of suncare products from Lush was rather interesting. With unusual formats and textures they were very different but seemingly effective. Sesame Suntan Lotion is a light creamy lotion giving SPF10 that sinks easily into the skin. The Sunblock is a solid sunscreen wash giving a high SPF30 protection. It works by massaging onto damp skin in the shower then with a gentle pat dry you are fully protected head to toe. I took home a tub of Lifesaver, a rich, highly moisturising sunscreen cream with an SPF30 protection. I saved this little tub until I went on holiday to really test it out. With the sun quite hot and a tendency to get burnt shoulders I covered my arms and shoulders with this quite liberally and then sat on the beach. Being on their for 3 or 4 hours I didn’t reapply but found this easily protected me and I didn’t burn in the slightest. With moisturising shea butter this meant my skin didn’t dry out either leaving it feeling soft and soothed even at the end of the day in the hot sun. I’ve really enjoyed trying out some new and different Lush products, it’s definitely made me realise that Lush has so much more to offer than just bath bombs and soap bars which are the main products I have used from there previously. Being a highly ethical company and using lots of amazing natural products and fragrances, I’d definitely suggest popping in to try something out. The staff members are welcoming and knowledgeable and can guide you towards products suitable to needs and skin type. All reviews are my own and my family’s opinions and we received some Lush products in order to write the review.